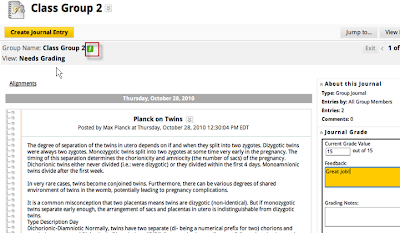 You can review blog posts and while doing so, pop up a rubric you created and score and give feedback directly into it. Alternatively you can have it as a pop-up list with a box for entering the score. 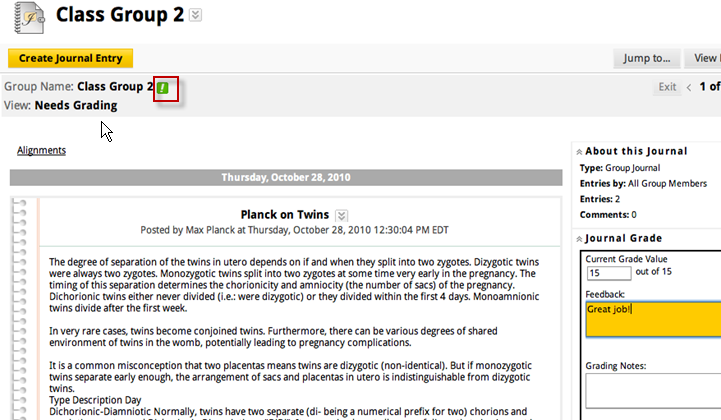 All of this happens within the blog environment without having to go to the grade center. 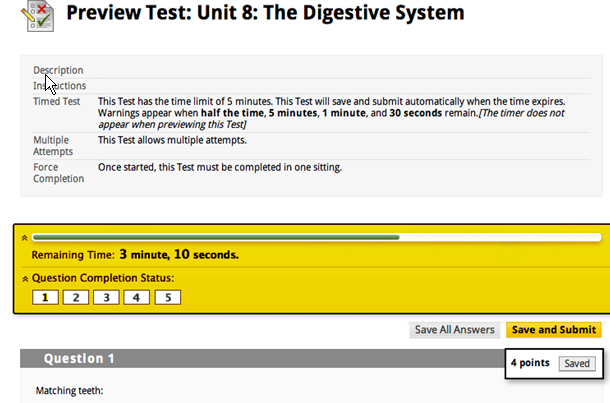 Quizzes can be set to autosubmit after a certain amount of time. It's really the only way to control this. The status of questions (answered or not), and time remaining can display. OR students can turn it off if this makes them more nervous. Many will feel it gives them more control over their time management. In the Control Panel chose Grade Center, then Needs Grading. Choose a category of ungraded items . 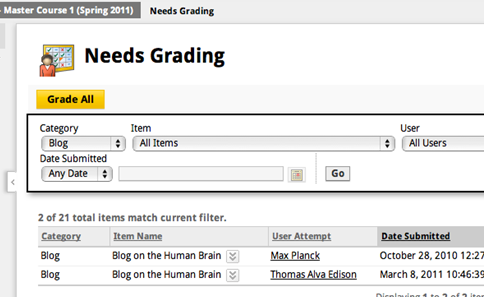 Click an item to grade it. Useful for packaging scoring across different systems. BB is ahead of many systems as yet. The interesting thing is how the content and assessments (quizzes) are laid out. 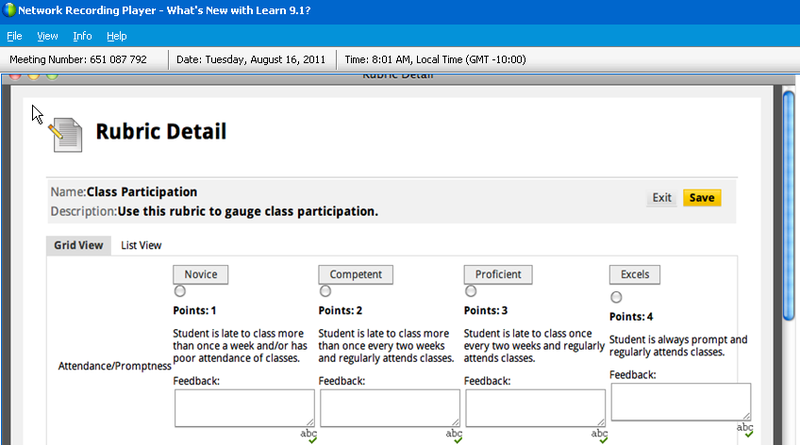 This is consistent across learning management systems.